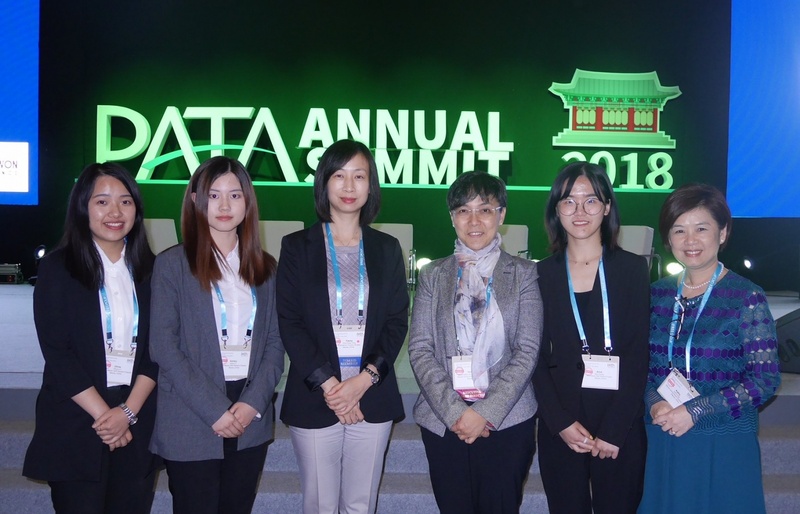 Director of Macao Government Tourism Office (MGTO), Maria Helena de Senna Fernandes, and President of the Institute for Tourism Studies (IFT), Fanny Vong, attended the Pacific Asia Travel Association (PATA) Annual Summit 2018 in Gangneung, Korea and the World Tourism Organization (UNWTO)/PATA Leaders Debate held in tandem. At the occasion, Director Senna Fernandes was elected to be the PATA Secretary/Treasurer today (20 May). Maria Helena de Senna Fernandes was voted by PATA Board members gathered in Gangneung to serve as PATA Secretary/Treasurer in the next two years, undertaking the role to oversee the administration of the Association’s financial affairs and be the Chairman of the Audit and Finance Committee. 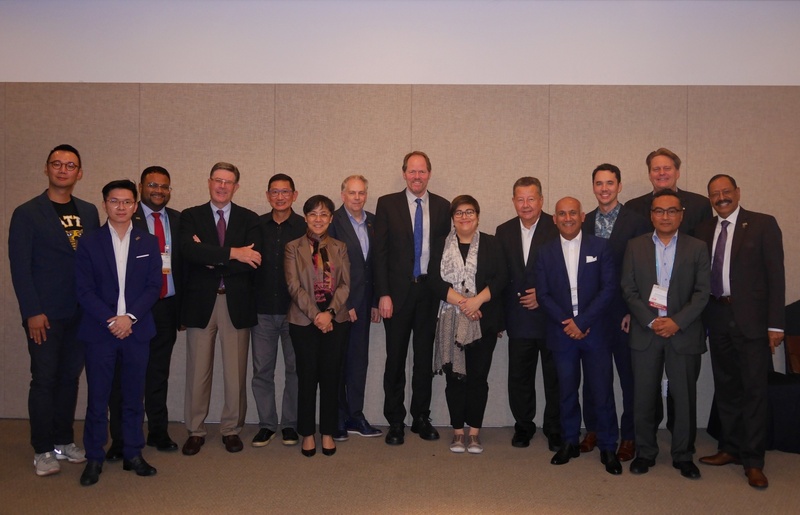 In addition, Dean of the Faculty of Global and Community Studies at Capilano University in North Vancouver, Canada, Chris Bottrill and Chief Executive Officer of Langkawi Development Authority, Malaysia, Azizan Noordin were elected as the new Chairman and Vice Chairman of PATA. 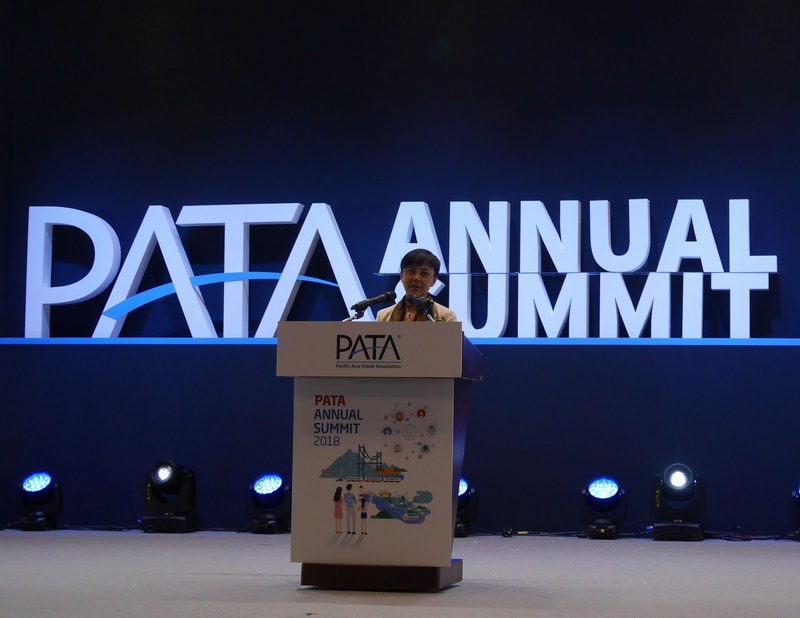 The PATA Annual Summit 2018 is jointly organized by the Korea Tourism Organization and Gangwon Province in Gangneung, Korea from 17 to 20 May. 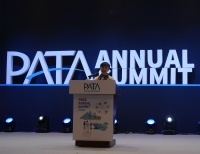 As one of PATA’s annual major events, the PATA Annual Summit attracted 372 delegates representing a total of 182 entities, coming from 41 countries and regions across Asia Pacific this year. Revolving around the theme “Building bridges, connecting people – how collaboration creates opportunities” this year, the Summit explores the impact of the tourism industry on driving economic progress and building a global community of diverse cultures in harmony. The program includes themed panel discussions, UNWTO/PATA Leaders Debate, the PATA Annual General Meeting and the PATA Youth Symposium, among other meetings and activities. Eminent leaders were invited to deliver speeches and insights in the Summit. A keynote speech was presented by former Secretary-General of the United Nations, Ban Ki-moon, and a closing remark was given by former Secretary General of the World Tourism Organization, Taleb Rifai. 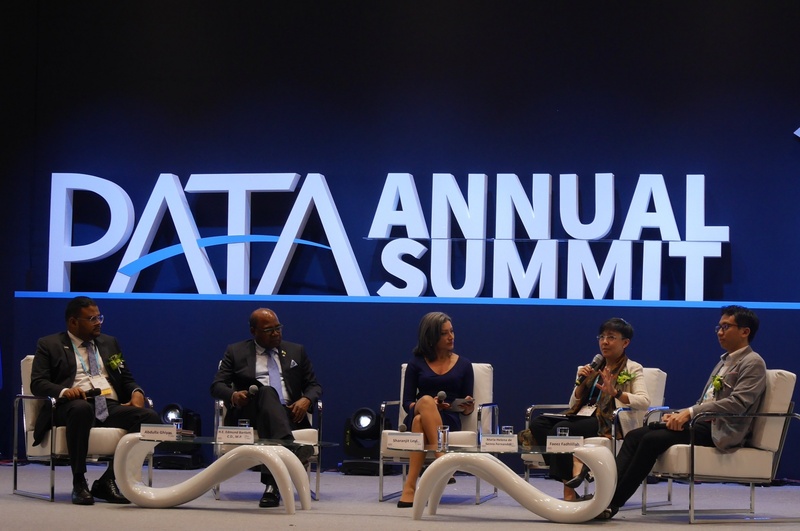 UNWTO/PATA Leaders Debate was held on 19 May to shed light on the major challenges faced by the tourism industry nowadays. MGTO Director Senna Fernandes was among the guests invited to join the Debate with Minister of Tourism of Jamaica, Edmund Bartlett, award recipient of the PATA Face of the Future 2017, Faeez Fadhlillah and recipient of the PATA Face of the Future 2018 Abdulla Ghiyas. Speakers were divided into two teams to pit against each other in the Debate. The triumph went to the team of Minister of Tourism of Jamaica, Edmund Bartlett, and Abdulla Ghiyas with the high votes and support from the audience. Over the past decades, the Pacific Asia Travel Association has been a valuable platform for Macao to promote its destination and connect with the global travel trade. Macao Government Tourism Office has been actively engaged in the affairs of the Association and was continuously supporting the PATA Gold Awards. The Association gives out a range of annual awards to commend outstanding practitioners in the field of tourism and cultivate industry professionals, including the annual prestigious award of “PATA Face of the Future” to rising stars in the industry who have demonstrated initiative and leadership in the advancement of tourism.